See the Download v5.0 | Ubuntu page for installation and upgrade instructions. The packs can be installed or upgraded on Windows 10 and have been used to update the installations for other Linux and macOS platforms that use Docker to provide a self-contained environment, see Download v5.0 | Linux and Download v5.0 | macOS. The development line of OpenFOAM (OpenFOAM-dev), packaged weekly as openfoam-dev, which includes major code changes that can break backward compatibility. The “dot-x” source repository for the latest major version release — currently OpenFOAM-5.x — that incorporates latest code fixes without breaking backward compatibility. The user can then refer to the repository commit log at 30 Oct 2017 corresponding to the package date 20171030. In past versions of OpenFOAM, we released a “dot-1” version, e.g. OpenFOAM-5.1, a few months after the release of the major version, i.e. 5.0. The rationale was that the dot-1 version contained code fixes to a large number of issues reported following a new version release. The timing of the dot-1 version release was based on issue reports falling to the background level. Today the development line is maintained publicly to “always-releasable” quality. Issues are continuously reported and resolved, such that we no longer see a sharp rise in reported issues following release of a major version. The dot-1 version is therefore an anachronism, not relevant to our development of OpenFOAM today. 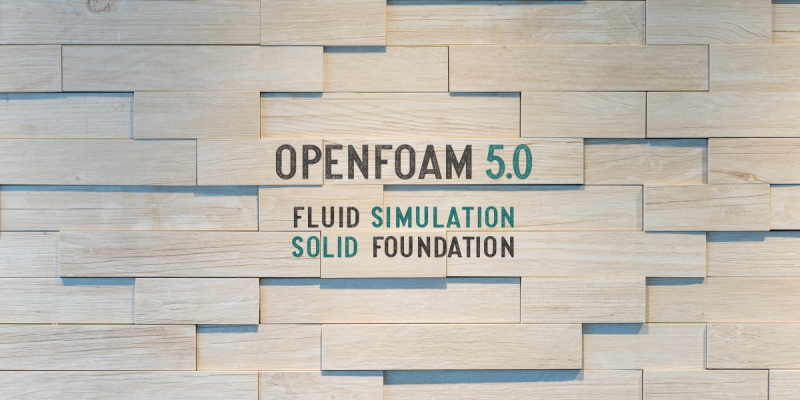 Instead, we plan to release updated openfoam5 packs, compiled from the latest OpenFOAM-5.x sources, approximately once per month.